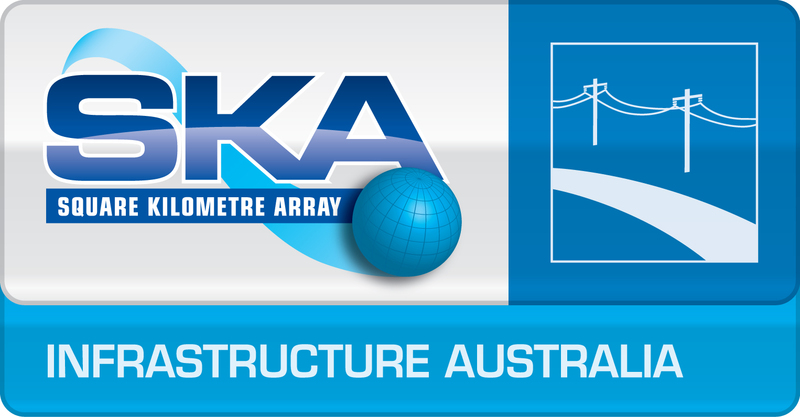 Stage 1 of SKA1 Pre-construction for the Infrastructure Australia (INAU) consortium has been busy and not without its challenges, but ultimately it has been extremely productive. By its nature, Infrastructure design is largely a reactive process as we need most other consortium to have made significant progress with their design processes (based on the core SKA Level 1 requirements) before we can develop the infrastructure that provides the support. As such, our schedule tends to follow and be sensitive to many of the other consortia activities, although the importance of Infrastructure being involved early in the design processes of other consortia cannot be over-emphasised, as the cost implications of some design choices are significant. 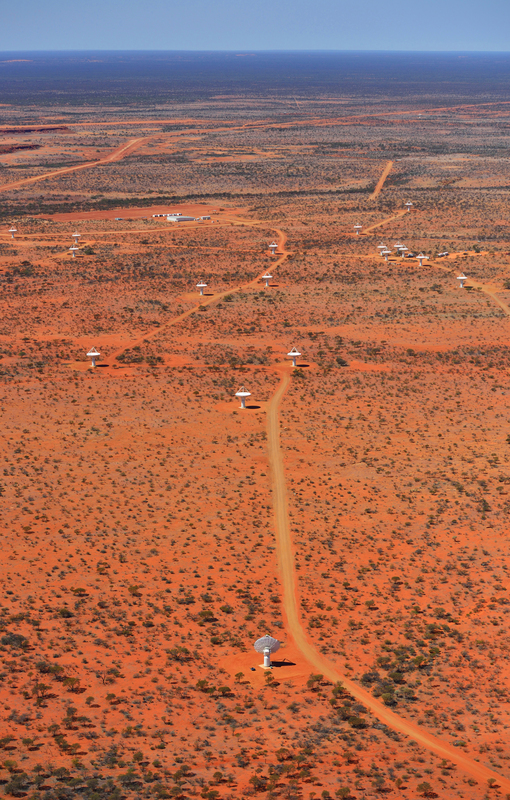 An aerial view of some of the ASKAP antennas at the Murchison Radio-astronomy Observatory (MRO) in Western Australia. Credit: CSIRO. The first half of 2014 saw the development of core concept design documents and “Basis of Design” documents. The Basis of Design documents were critical to ensuring the design process was correctly addressing the fundamental project requirements (Level 1 requirements and subsequent evolutions), enabling the development of ‘bottom up’ requirements, and allowing stakeholder feedback on the design approaches. They are akin to the traditional infrastructure design “return brief” approach, where the designer articulates their understanding of the design brief back to the client. July 2014 saw the submission of many of the documents, including the “Basis of Design”. Draft cost plans and a range of related material was presented to the SKAO in mid-year, along with presentations to the SEAC. Extensive interactions with a number of other consortia for the development of ICDs has been very productive. We have also found the Consortium Leaders meetings valuable, especially the face-to-face meetings, which have also enabled significant side meetings between various consortia on a range of topics. The re-baselining announcement by the SKA Board on the 5th of March 2015 has of course had a significant impact on INAU. In particular, no further work (other than PDR document closeout) on the SKA-survey instrument is required. The reduction in antennas for the SKA-low telescope will result in design revisions and detailed interface discussions with several other consortia being needed towards CDR, and currently we await the release of a new SKA-low configuration to progress the broader access and power/fibre distribution components. INAU was also engaged in looking at power generation options for the SKA site in Australia. We submitted an options paper in June 2014 which provided an overview and first order costings associated with a range of options. Subsequently, an Australian Power Strategy Working Group has been established to look at this aspect of the project, especially from a policy, funding and implementation perspective. A significant part of 2014 was of course spent in the development of the post-CoDR stage of design, leading up to the Preliminary Design Review. INAU submitted its package of design documents for PDR on the 28th of November 2014 and the 2-day face-to-face review was held at Jodrell Bank, UK on the 19th – 20th of February 2015. INAU passed PDR with some minor closeout work and was approved to move to Stage 2. 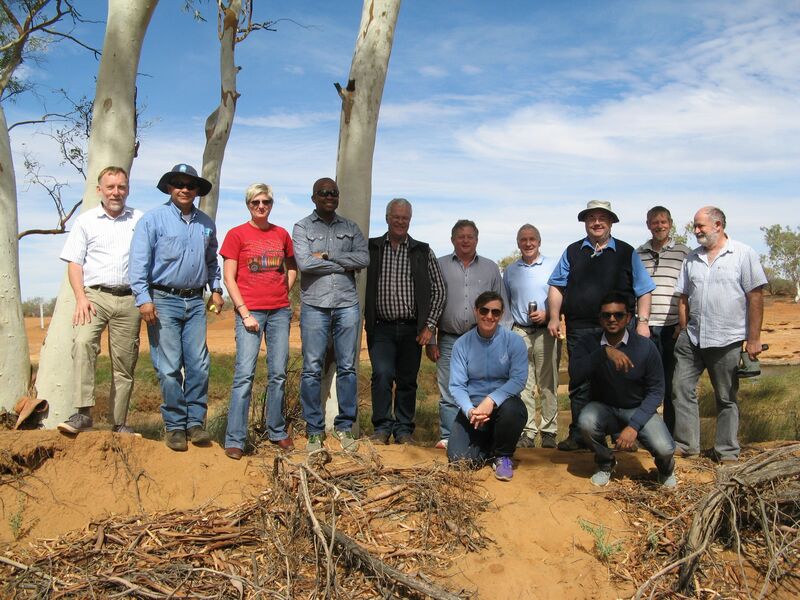 In April and May of 2014, the Infrastructure Australia team visited the South African SKA site in the Karoo, after hosting a visit to the Australian site by the South African Infrastructure Team. The team on the banks of the Murchison River during a visit to the Australian site. (L-R): Graham Allen, Wilfredo Pena (MRO Health & Safety), Tracey Cheetham, Telalo Lekalake, Dawie Fourie, Corrie Taljaard, Rebecca Wheadon, Alistair Macpherson, Shaun Amy (MRO Site Manager), Shandip Abeywickrema, Martin Austin, Carel van der Merwe. Credit: Ant Schinckel, CSIRO. As a result of these visits, and subsequent meetings, an informal Infrastructure group (called the Good Ideas Group) was established to continue the interaction between the two consortia to exchange ideas around common problems and solutions for the two sites. As part of the interactions between INAU and INSA, regular coordination meetings were also held during Stage 1. A number of other visits have occurred, with INAU members examining a range of other facilities and meeting with different groups interested in contributing to the SKA from a variety of perspectives. This includes (but is not limited to) Ant Schinckel and Steve Negus who visited Portugal and Spain in June 2014. This visit was immensely instructive, as we visited a number of groups in developing telescope and communications oriented instrumentation, as well as infrastructure related groups. This included visits to the Martifer Solar Panel manufacturing facility, and the new Portugal Telecon “Green Cloud” Data Centre, both of which were very impressive. Other facilities visited in this period include the NBN Data Centre in Melbourne, Australia. 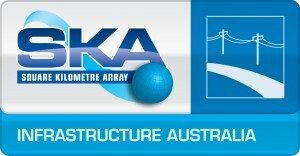 INAU was only funded for Stage 1 of the SKA1 Pre-construction period. This period was completed on the 30th of April 2015. INAU, the SKAO and SKA South Africa Infrastructure have jointly developed a submission to the EU Horizon 2020 programme for funds for Stage 2 of the pre-construction period. We have received advice that we are provisionally approved in our application and are now working with our project officer at the EU on details. This grant will provide the bulk of the funds required for the Stage 2 infrastructure design work. Additional funding has also been received from the Australian Federal Government Department of Industry and Science. INAU has held two Board meetings during this period (27th of August 2014 and 22nd of April 2015) with a follow-up to the 2nd meeting focused on securing funding for Stage 2, which has now been achieved.